So you may have heard me mention a few times before that I'm not a fan of matte formula lip products at all as my lips are naturally dry anyway so I often find them hard to apply or just too drying and uncomfortable on the lips. 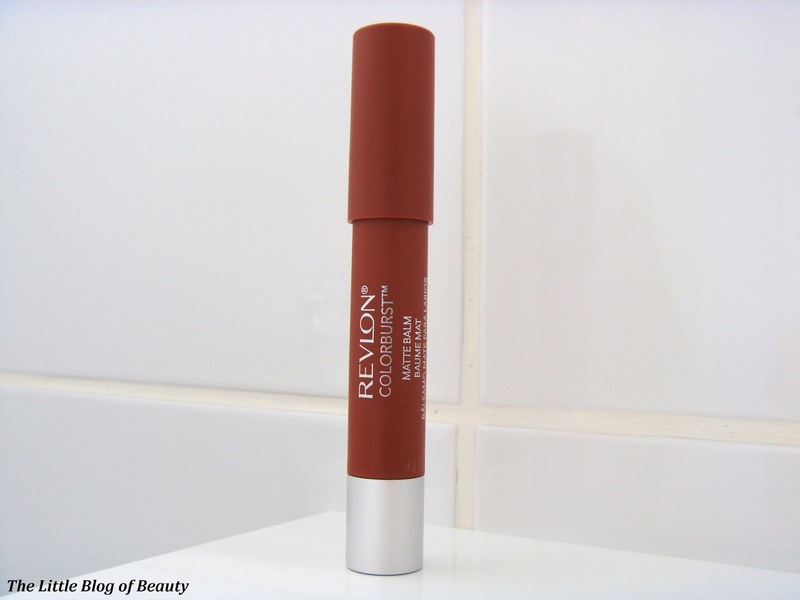 Obviously I heard that Revlon were launching some new lip crayons in matte and lacquer formulas and despite what I've just said above I found myself lusting after trying one of the matte balms. Strangely I'm not really interested in the lacquer balms at all, probably because I like full coverage and I believe these are a bit sheerer. Although I was lusting after trying one of the matte balms I wasn't intending to actually buy one (who am I kidding? It was obviously going to happen eventually!) but then along came Boots with their mix and match 3 for 2 offer and as I wanted some products from other brands as well I decided to take advantage of it. Please excuse my hairy arms! As often appears to be the case recently, especially with new releases or hyped products, this was one of those products that is a bit of a nightmare to try and buy in store. 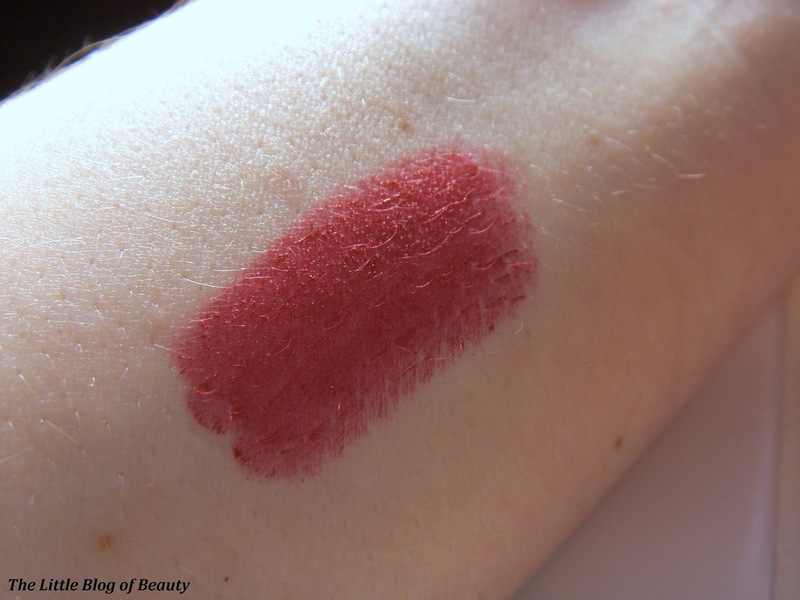 A lot of the testers were missing, only a few shades were in stock and it was obvious that several of the products had been opened. Luckily I'd already decided based on other reviews that I wanted to try Standout and it was in stock so I just grabbed one and headed to the checkout. If I remember correctly this had a very small piece of barely sticky tape supposedly sealing the lid to the crayon that as far as I could see hadn't been tampered with, but as you can see on the pictures I got home and discovered that somebody had opened this and swatched it. Annoying, but I gave the end a wipe over and got on with it. As you're probably all aware by now this is a wind up type crayon that's quite chunky in size. I actually prefer one's you sharpen, but am still happy to use wind up ones. I do love that the packaging on the matte one's is matte and shiny/reflective on the lacquer ones; both do look really nice. Like the original colorburst balms these have a minty scent that I think is slightly stronger than the original formula, but I like this. Standout is a deep slightly burgundy type red that you can wear quite light if you wish or you can layer it up a bit to deepen the colour. Obviously I was slightly concerned that this was just going to be another matte formula that I wouldn't get on with and that would be relegated to the bottom of my lip product stash, but I had high hopes after reading other reviews that said the formula was easy to apply. I was delighted to find that this was the case and it actually feels like nothing like a matte formula. 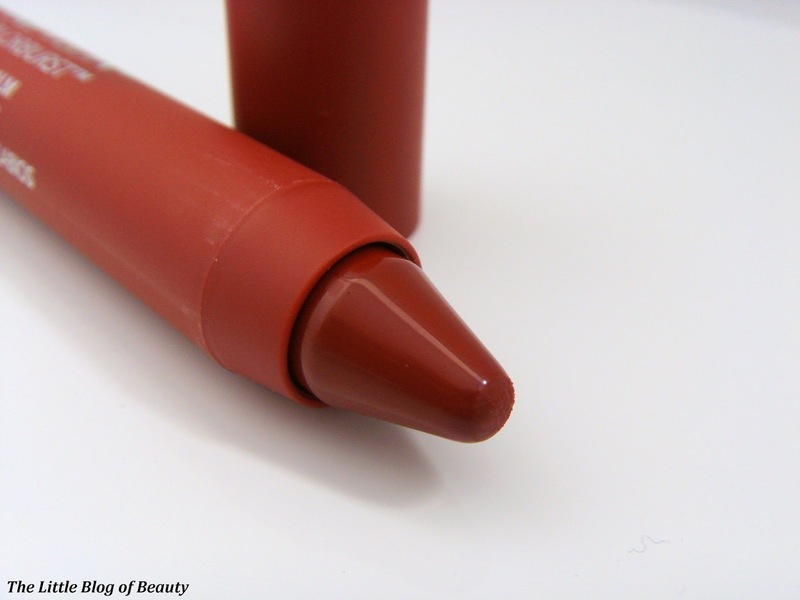 The crayon is actually quite soft and it applies really smoothly and easily. 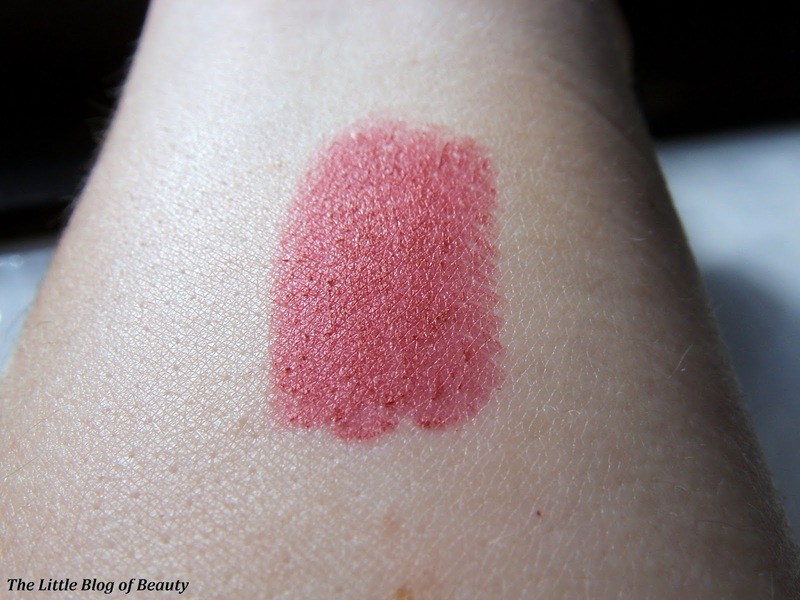 As it's much softer than a standard matte formula it also doesn't cling to dry patches, in fact I've applied this several times when my lips definitely aren't up to matte lip product scratch and it's more concealed any dry bits rather than highlighting them. Matte formulas are usually one of the longest lasting but I think because this isn't a typical matte formula it doesn't have the same staying power, especially if you do eat and drink (while wearing it I mean, not in general!). Although this may be because I don't tend to leave my lips alone, I'm always licking them slightly or rubbing them together. 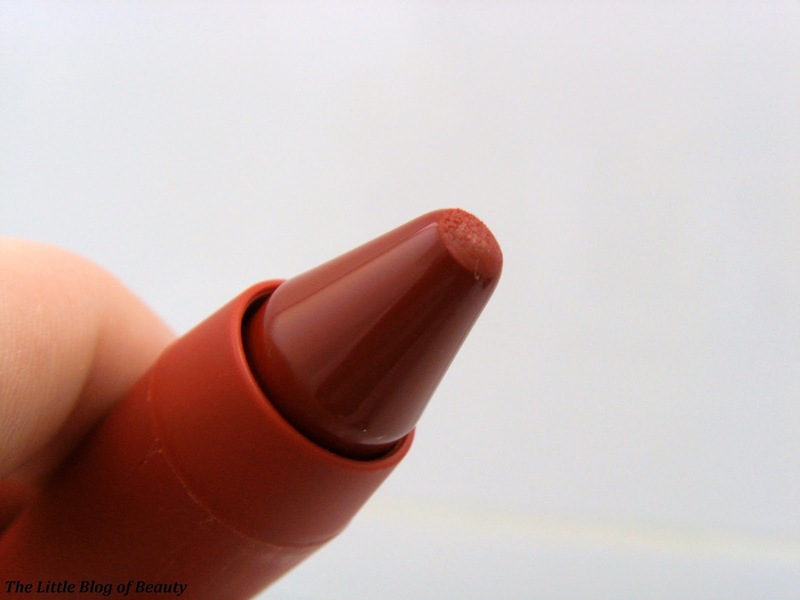 I find that after a couple of hours this will have worn off a little, probably mostly on the sides of my top lip (where I tend to lick my lips, especially when wearing drier formulas) and it can start to look slightly fuzzy around my lip line. However it does leave a stain behind, so unless you get up close and personal it still looks quite presentable from afar, but I'd be happy to top up as long as I had a mirror to hand as it's pretty simple to do. 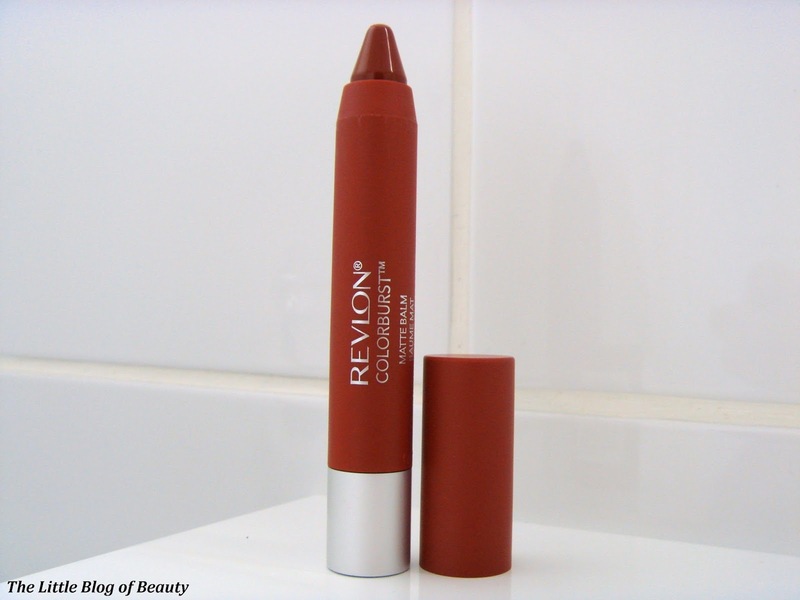 So despite usually steering clear of matte formulas I'm really glad I picked this up as I love it and I'm definitely considering getting one of the brighter spring/summer type shades that are available in the range. The Revlon matte balms (and lacquer balms) are £7.99 each and are available from Boots and Superdrug. Have you tried any of the matte or lacquer balms and which do you prefer? They look amazing! I'll have to try them out!